Are you looking for a new Ram pickup for sale? SJ Denham Chrysler Jeep Dodge Ram has you covered. View our current inventory of new Ram models in Mount Shasta, then visit our dealership, located near Redding and Yreka, for a test drive! 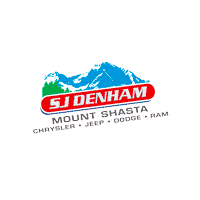 Why Choose SJ Denham Chrysler Jeep Dodge Ram? Contact us at SJ Denham Chrysler Jeep Dodge Ram near Redding and Redbluff to learn more about how Ram trucks compare to competitors and to get more information on the new 2019 Ram 1500 today!